AS the coldest months begin to make their ominous approach, so too does the impending threat of a dry, bloody nose. Thankfully, there are ways to combat it and treat it so as to have a pain-free and comfortable cold season. Nose bleed (medically termed as Epistaxis) is quite common during the rainy season because of sudden fluctuations in temperature. It can rarely be serious or life-threatening. In fact, most nosebleeds can be treated at home with first-aid measures. But before knowing what can be done to stop nose bleeding, one needs to understand why it is caused, what triggers it and how serious it could get. Most nosebleeds, she revealed, can be treated at home by doing the following: Stay calm; “If you start to get nervous, it can actually make you bleed more; Sit up, don’t lie down; Keep your head above your heart; Lean a little bit forward. “This keeps the blood from draining down the back of your throat,” she revealed. Managing nose bleeding, she said, is symptomatic “because it is an indication that you’ve not had enough rest or you lack Vitamin C.” The best way to prevent nose bleed is to take natural fruits such as oranges, water melon, among others, and vegetables. Alege lamented that Nigerians generally are not good in taking fruits and vegetables. Her words: “Fruits are not a luxury, they are affordable and should be our daily consumption.” If bleeding doesn’t stop with the above measures, you can apply some ice externally on the nose bridge to reduce the blood flow. If your nose is still bleeding, seek medical help. Other ways of preventing nosebleeds, according to Alege, include: Always blow your nose gently. Keep the indoors warms during winters, especially people who are too sensitive to cold. 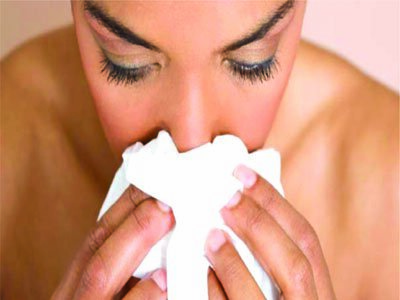 You could use an over-the-counter saline nasal spray or a nasal gel to prevent the nasal tissue from drying. If you are allergic to chemicals or dust, cover your nose with a mask. “Stop smoking or inhaling second-hand smoke,” she warned. “Nose bleeds usually stop within a few minutes. However, if it doesn’t stop with first-aid and is recurring, you should see a doctor immediately. The doctor will check your health history and review what medicines you should take,” she concluded.